Avista uses Polycom gear for great quality (up to 1080p HD) video conferencing and robust, multi-point functionality. 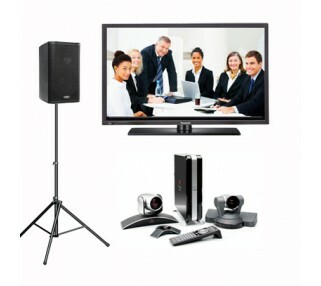 We use state-of-the-art Polycom video conferencing gear to bring your video conference great HD quality. We can bring our Polycom system to your offices or hotel venue, and if you need assistance finding a facility for your far-end participants, we can help. Call to discuss your video conferencing needs, and we can advise you on the best solution.